Enrichment beyond the classroom is a strong part of TBGS Sixth Form. On Wednesday afternoons there are very few timetabled lessons. 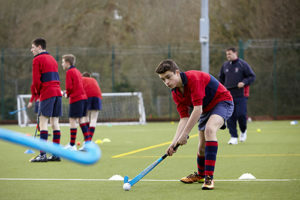 Instead students have the option of engaging in numerous extra-curricular activities, the most popular of which is organised sport. The school has a wealth of opportunities and expertise and students are encouraged to take advantage of these whilst with us. There are also a vast range of clubs and societies for Sixth Formers to get involved in at School. Every Autumn Term there is a Clubs and Societies Fair, showcasing a multitude of extra-curricular options from sporting to sedentary, adrenaline fuelled to contemplative.